Auxiliary Leadership and Management School (AUXLAMS, codes AUX02A and AUX02B) is the Coast Guard LAMS course, adapted for the volunteer Auxiliary environment, and is taught by Coast Guard trained instructors. It is based on the Leadership Competencies, which lay the foundation for all leadership skills necessary to successful leadership in the U.S. Coast Guard and the Coast Guard Auxiliary. This is a facilitated and interactive course dealing with Self Awareness, Motivation, Strategic Leadership, Team Building, Ethics, Conflict Management and Performance Problem Solving. AUXLAMS is the foundation course of the Auxiliary Leadership Continuum. The course is taught in 2 ½ day sessions at district locations, 3 to 5 weeks apart, arranged by the respective host points of contact. It is recommended by the Accreditation Council on Education (ACE) for 3 upper-division undergraduate college credits that may be obtained by working with your university (it is the university's discretion what credits they choose to award for classes taken outside of their system, however). Students must, however, complete both sections of the course within a 3-5 week window, so are apply for both simultaneously. 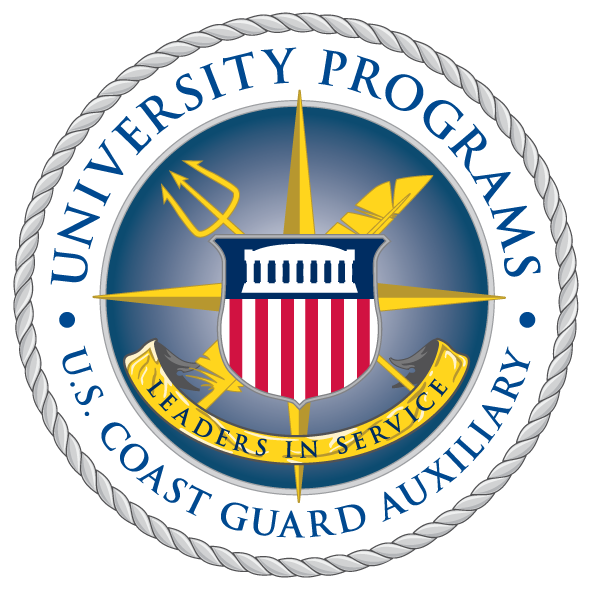 AUXLAMS satisfies the AUP "Maritime Leadership Capstone" item required of many students in order to graduate per the AUP the program of study. In addition, it also satisfies the leadership credit requirement for those auxiliarists pursuing their "AUXOP" status. However, full completion (both AUX02A and AUX02B are needed in order to satisfy both the AUP and the AUXOP requirement. Interested students should contact the POC(s) listed below directly with name, Member ID, and email address to be placed on the roster. Note that travel funding is not available for 2013, so students are encouraged to choose a location close by in order to minimize their own travel expenses. All students will be attending on no-cost, non-reimbursable orders issued by the DIRAUX. Some of classes have contracted hotels or government billeting arranged. Contact the class POC directly to find out about deadlines to get the special hotel contracted pricing or to make reservations for government billeting.